Have you ever been in such a situation? Leadership called for you, or there was a meeting you needed to join in, but you were using duplicate file software, there was no enough time to finish deleting duplicate files, it was pretty urgent! You have spent a lot of time on checking items, but the other side is important too! Which one would be given up? Just take it easy, neither of them you need to give up. There is an enhanced feature prepared for you – Save. Open this duplicate file software, check the boxes as needed, and click the <Find Now!> button to get the interface below (If you don’t clear how to get it, please click here for details). You can check what you want to retain and delete other duplicate files conveniently. Now, if you don’t have enough time to deal with them all, save the list by click the <Save> button at the top of this duplicate file software, the first one of the toolbar. The date is included in the default filename to make it easier to find next time, and you can also press the <Ctrl+S> to accomplish that. 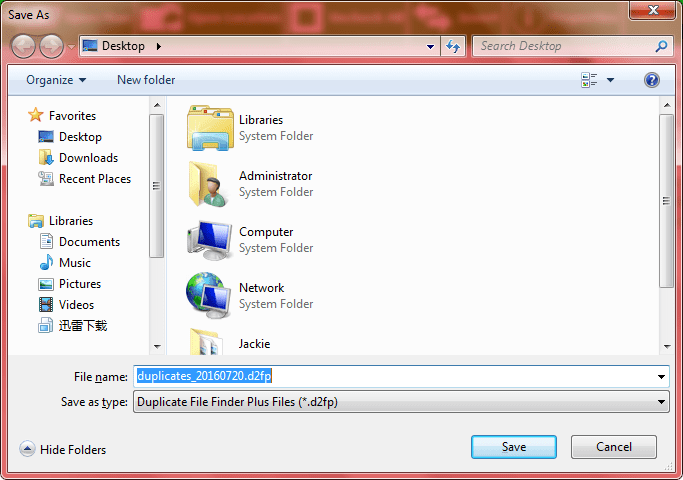 Screenshot 1: find duplicate files on pc. Screenshot 2: save our duplicate file finder / remover's result for next processing. 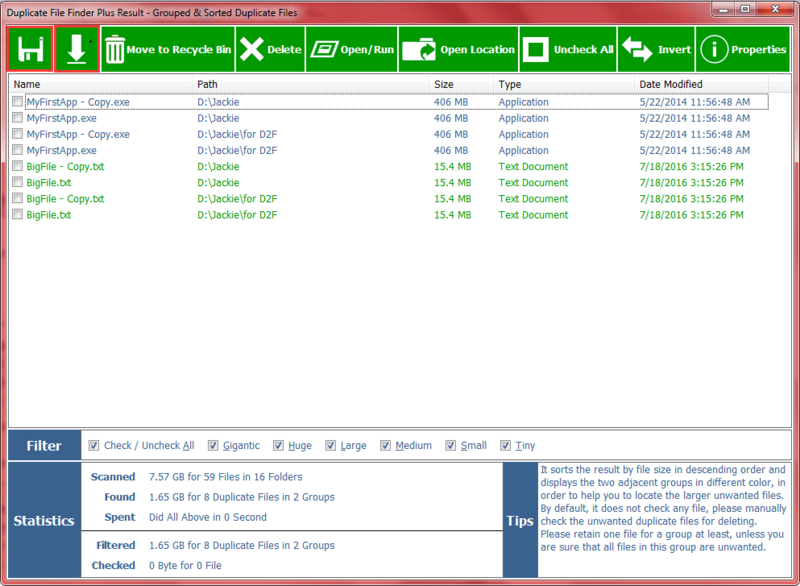 When you have time to deal with it, do not need to scan all the disks again, just open the duplicate files remover and click the <Load> button (main interface, bottom, second) to select the file including the list of duplicate files you have saved, open it and you can deal with duplicate files continuing. 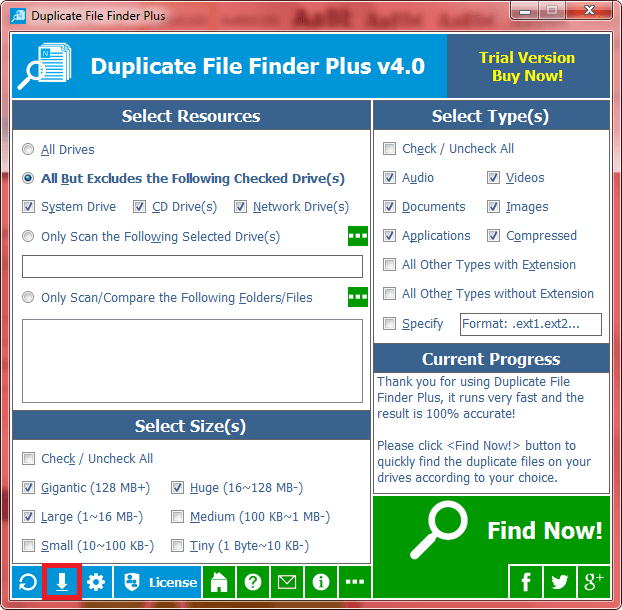 Download this Duplicate Files Remover Now!